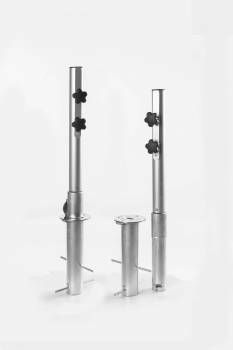 Our quick ship items are items that are available in our warehouse to be shipped immediately and can be delivered within 1- 4 weeks. 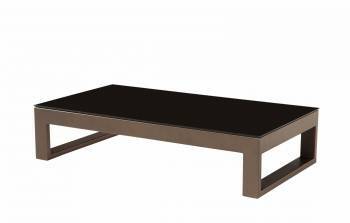 A simple and elegant design like that of the Amber Rectangular coffee table never goes out of fashion. 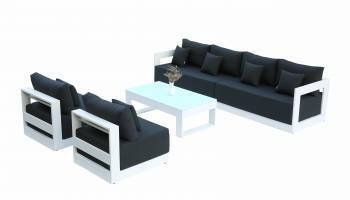 This table puts forward a pleasing design with its rectangular frame that has been crafted using fine-quality aluminum. 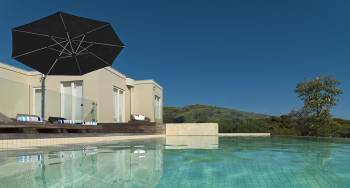 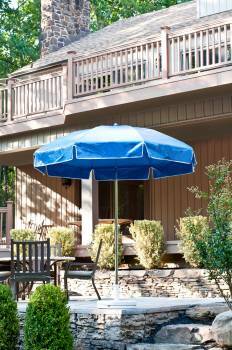 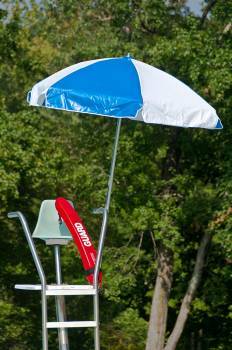 One of our most versatile umbrellas design for residential and commercial use. 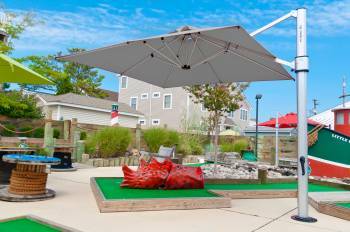 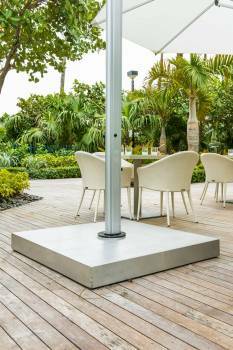 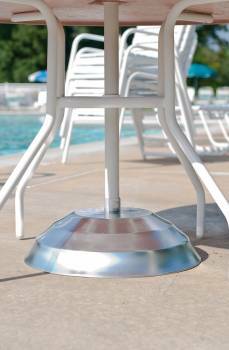 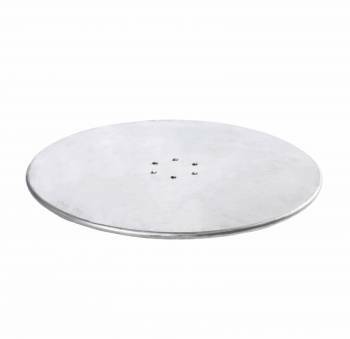 Description: Aurora Cantilever Umbrella Features: -360 degree tilt Comes with either the Cross Base, the In-Ground mount, or the Galvanized Steel Deck Plate(Surface Mount) for no additional fee. 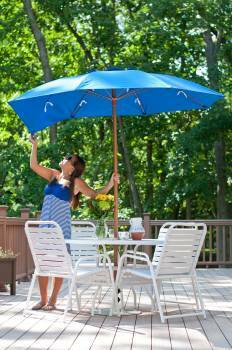 This is one of lightest umbrellas available. 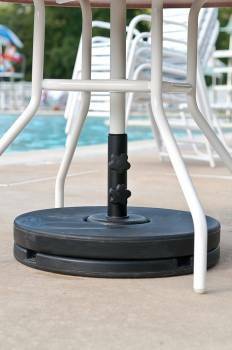 Easy to use and move around when needed. 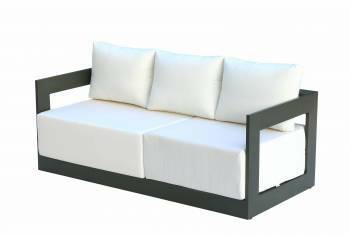 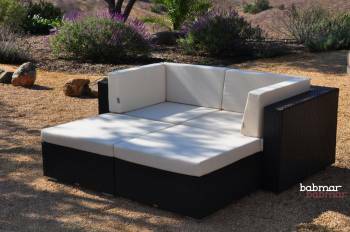 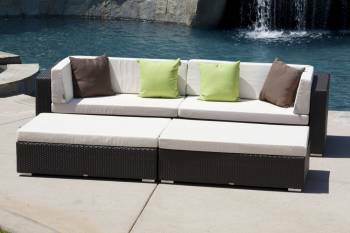 The Byzantine Outdoor Sofa Set provides durable and classy outdoor seating. 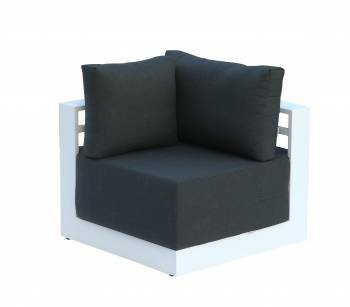 The corner and ottoman pieces can be arranged in a variety of ways, to suit both fashion and comfort. 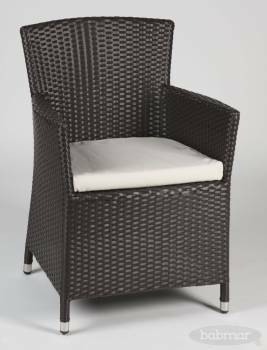 Please allow 1-4 weeks for delivery on our Brown Wicker. 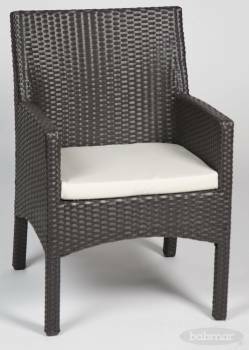 All other wicker options (Red, Ivory, and Gray ) have a lead time of 8-12 weeks . 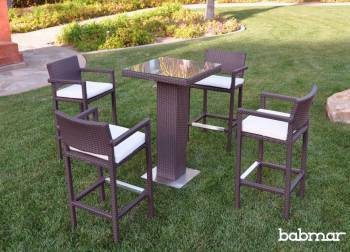 Gather around Babmar's contemporary Corretto Bar Set with Arms for an intimate gathering in your own back yard. 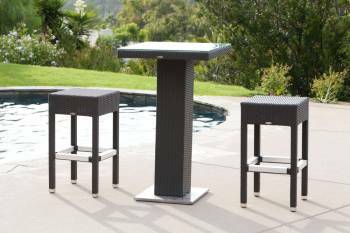 The all weather four-top bar table keeps company close and the comfortable barstools will have them never wanting to leave! 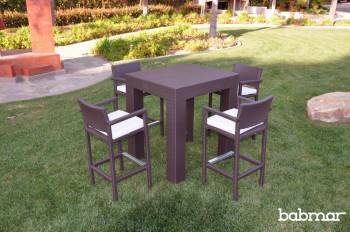 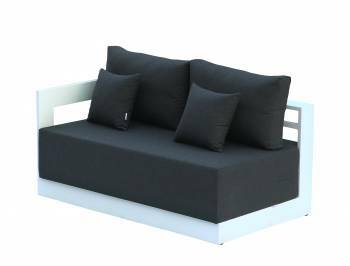 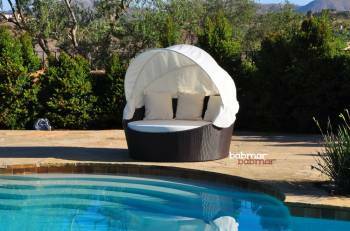 Gather around Babmar's contemporary Corretto Bar Set without Arms for an intimate gathering in your own back yard. 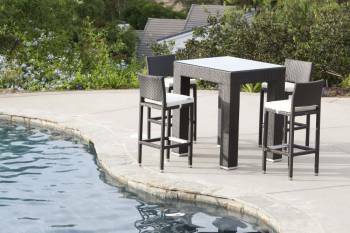 The all weather four-top bar table keeps company close and the comfortable barstools will have them never wanting to leave! 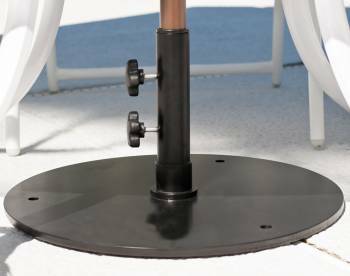 Babmar's modern all weather Crow Bar Set contains a unique pedestal-based bar table and two square barstools. 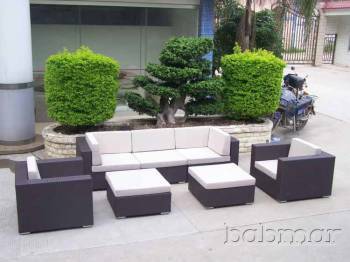 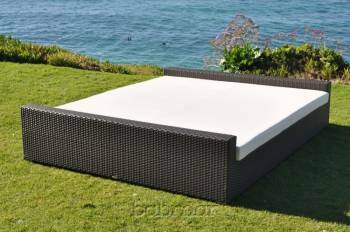 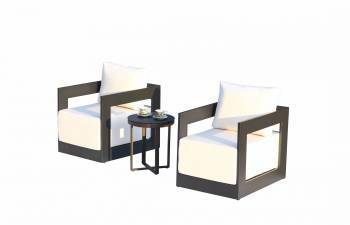 The clean-lined set adds an attractive geometric silhouette to any outdoor space and is perfectly functional for a gathering of two. 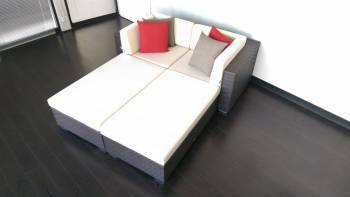 Please send photos of your furniture needing cushion replacements to info@babmar.com for a free estimate and available color options. 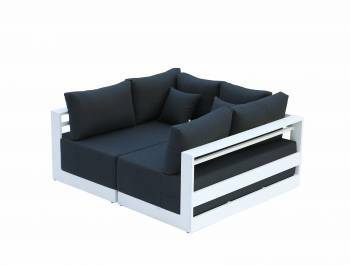 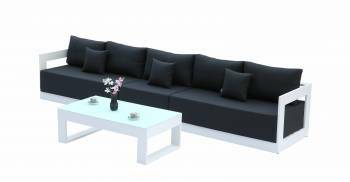 Babmar's Delfina Sofa Set offers enough seating space for 5 and even more with the use of two ottomans for additional seats. 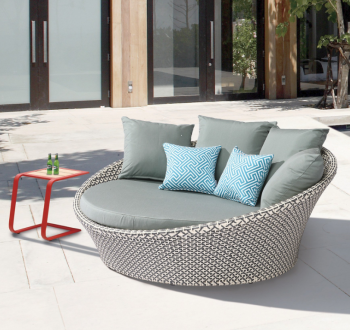 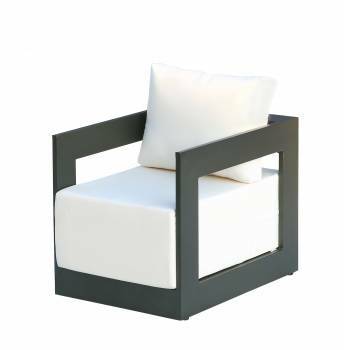 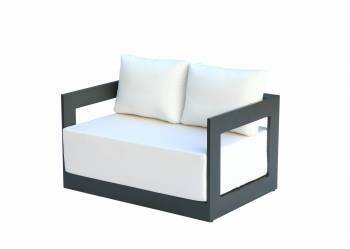 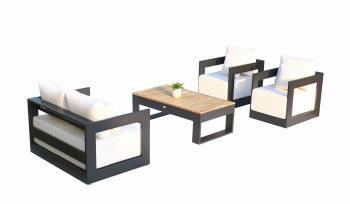 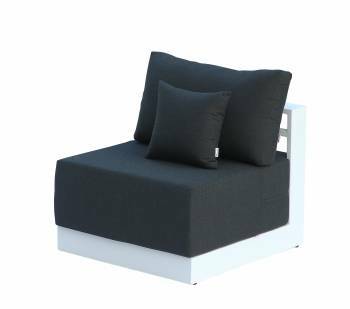 Versatile, modular, and tasteful, this contemporary set is sure to add style to any outdoor patio, deck, or courtyard. 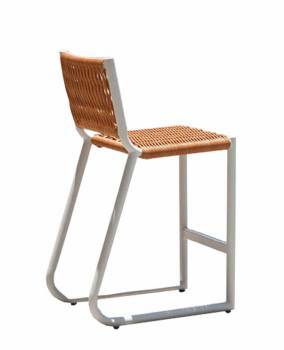 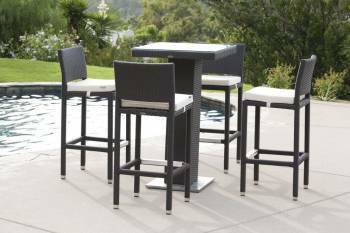 Babmar's modern wicker Florio Bar Set is sure to please with its attractive pedestal-based bar table and comfortable barstools complete with arms and a backrest. 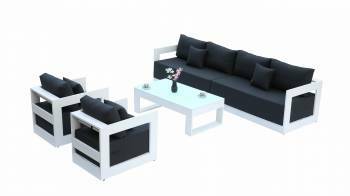 Compact enough for small to medium spaces, this contemporary bar set is perfect for four. 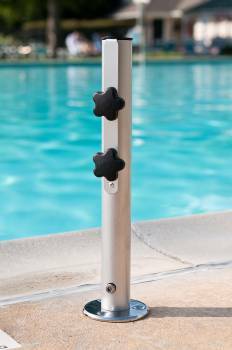 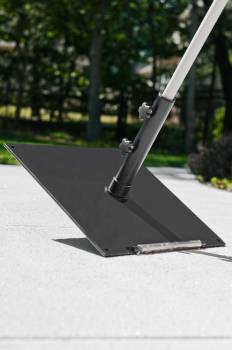 Description: Greenwich Pulley-Lift Umbrella Features: -1'8" square ribs -Heavy Gauge Runner and Notch -Self Repairable Frame -9oz Marine Grade Acrylic Canvas Default size is 6.5' x 6.5' Square. 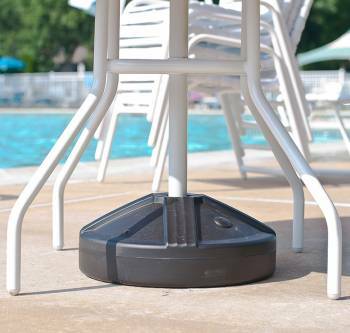 Umbrella Base not included. 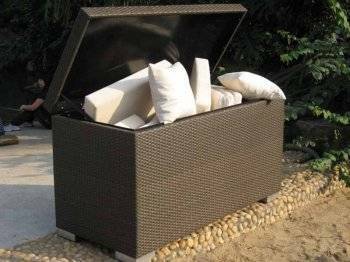 Throw your damp towels in this hand woven rattan hamper for easy clean up around pools and decks. 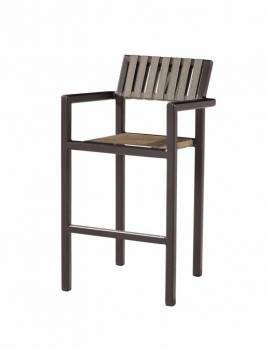 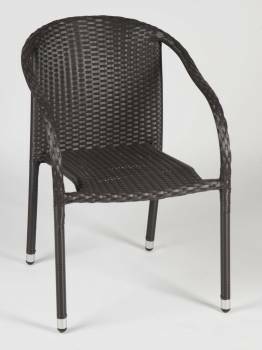 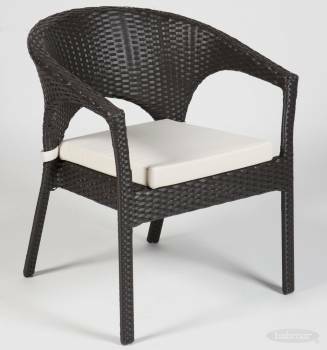 Also available in dark brown rattan. 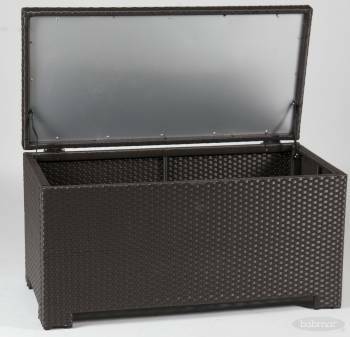 Description: Comprised of Babmar Fiber® hand wrapped around a sturdy, medium weight aluminum frame, this hamper is able to withstand the harshest of elements lasting throughout the seasons. 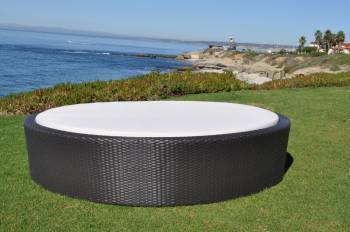 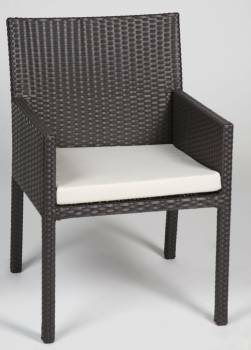 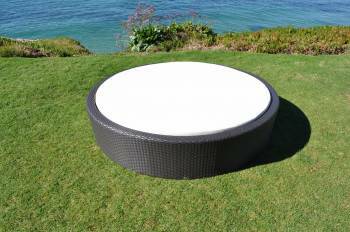 Available in dark brown or pure white all weather wicker. 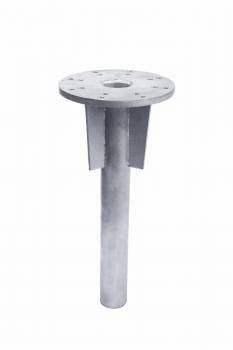 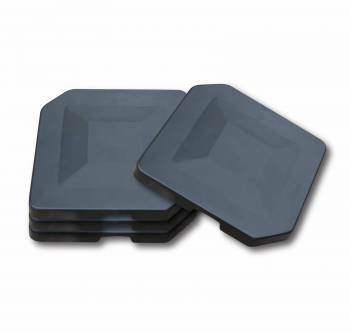 In stock as shown in images with 1 - 4 week lead time. 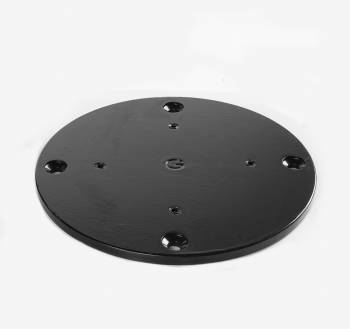 Please allow 8 - 12 weeks for customization. 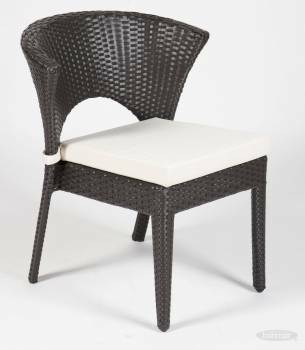 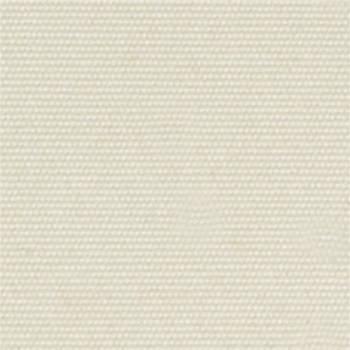 A simple and elegant design of our Lusso Collection never goes out of fashion. 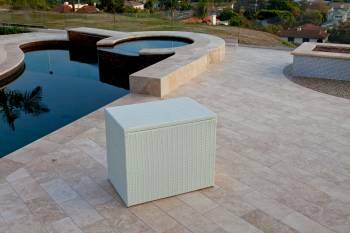 Clean lines crafted by using heavy-gunge aluminum accompanied with Sunbrella® fabric and Quickdry® foam.